While most skaters are perfectly content with the slimmed down and largely vulcanized silhouettes that dominate the current skate shoe landscape. There is a group of collectors that evangelize the bulky cup soles of the past. Australia’s Ben Brooks is one of them. Six months ago, he put his money where his mouth is and started a brand. 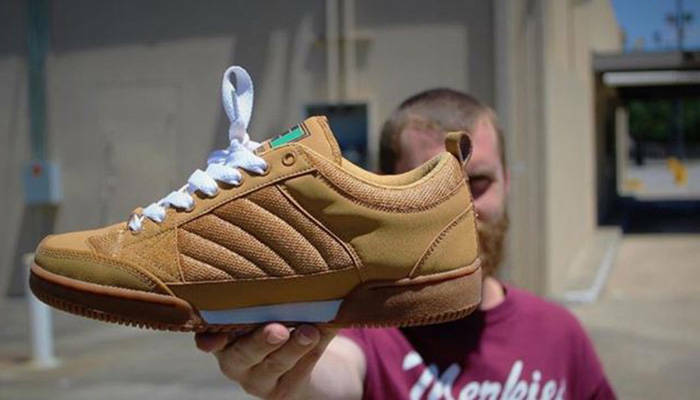 Enter ERAone—a company that is reintroducing ‘90s-style skate shoes to the market. Kingpin caught up with Brooks to get some insight on why and how this happened. “Can you explain the idea behind ERAone footwear? The idea came from being an O.G skate shoe collector. I only collect skate shoes from the mid 90’s to the mid 00’s, the ‘golden era’ of skateboarding. There is a solid group of collectors on Instagram and Facebook who, like me, love the styling of shoes from this era. Companies don’t make shoes like this anymore so the initial idea stemmed from a gap in the market and a general want and need amongst collectors. The overall idea is to bring some styling back into skate shoes. What inspired the decision to start the company? Is it something you’ve had in mind for a while? For more on ERAone, head over to Kingpin to read the complete interview. And if you want to nerd out on some seriously classic skate shoes, check out the Footnotes with Clay Griffin below.